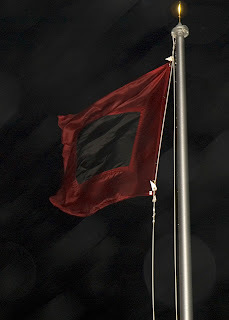 Hurricane Irene has come and gone. The Coast Guard is responding and providing assistance- from damage assessment to ensuring the aids to navigation are in the proper place. Thankfully there were no significant Amver rescues during the storm. Most ports along the east coast are opened as well. We're proud of participants and eager to welcome the latest members to enroll in Amver. Here are the latest members. Don't forget about the Amver podcast, Quarterdeck! 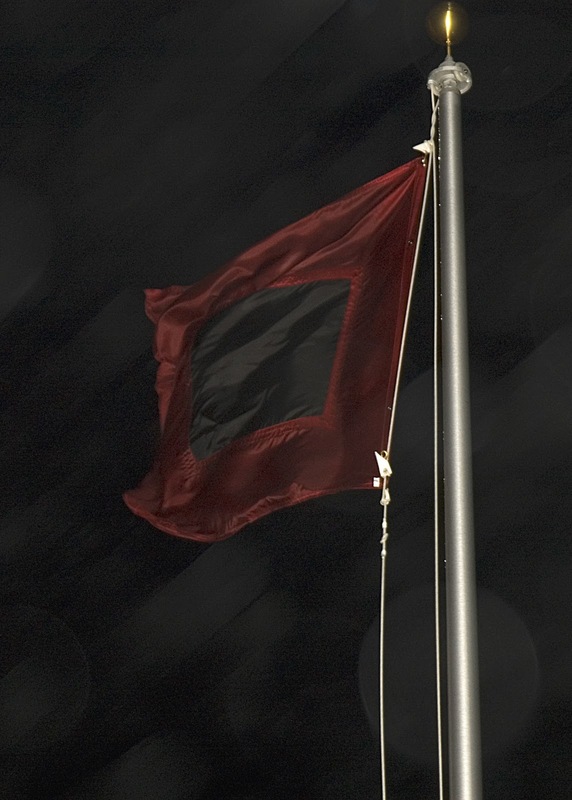 Hurricane Irene is churning up the east coast of the United States. What does that mean for you? If you're an Amver participant you'll want to check U.S. port conditions. You can do that through the United States Coast Guard Homeport site. Just use the drop down menu to chose the port you want to know more about and click enter. Our link will take you to the Port of New York. What do all those Coast Guard port conditions mean? Here is the link to the following list of port conditions. While Washington, DC and New York are suffering earthquakes and Hurricane Irene is churning in the Atlantic, Amver vessels are prepared to assist where necessary (at sea of course, not in earthquake damaged areas!). Help us welcome the latest members of the Amver safety network. We're luck to have such an extensive network of vessels available to assist. Just how many? Take a look at the Amver density plot, updated recently. Safety at Sea International magazine announced the winders of the 5th Annual Safety at Sea International Awards at a dinner honoring the winners and nominees aboard HMS Belfast on the River Thames in London on 23 June. Winners included an antipiracy device that creates a propeller jamming zone around a vessel, an initiative that helps U.K. fisherman to prevent a flooding vessel from becoming a sinking vessel and an advanced crew transfer platform that reduces the need for helicopter shuttling in the dangerous offshore environment. The six awards were presented by Sir Alan Massey, Chief Executive Officer of the U.K.’s Maritime and Coastguard Agency (MCA). Massey told the assembled guests that he was “a man on a mission to get the public on board on sea safety” and that “the Safety at Sea International Awards are in tune with the MCA’s mission”. The awards were made by an independent judging panel of experts in the categories of equipment, management/operations, security, systems and training. The Automated Mutual Assistance Vessel Rescue System (AMVER) award for seamanship was given to the crew of the containership Adrian, owned by Komrowski Befrachtungskontor, for the September 2010 rescue of seven crew members from the skinning general cargo ship Ocean Blue amid severe weather conditions off the Domican Republic. Adrian was selected for the award by the staff of Safety at Sea International in recognition of the seamanship displayed during the rescue. Safety at Sea International has been the world’s only dedicated maritime safety magazine for more than four decades. The Safety at Sea International Awards are held annually to celebrate the role that safety managers and manufacturers play in saving and protecting life at sea across the international maritime safety market. The magazine is published by IHS Fairplay. Who joined Amver this week? Let's take a quick look at the latest vessels that enrolled. You know you can participate in Amver through the commercial vessel tracking company you may already send reports? That's right, if you currently subscribe to services from Pole Star, Transas, or Marine Track. Just ask your customer service representative how to have your reports automatically sent to Amver. Now, please help us welcome our new participants. Don't forget to check out the Amver podcast, Quarterdeck! U.S. Consul General Scott Kilner recognized 16 Turkish companies for their outstanding participation in the Amver program at an awards ceremony at the U.S. Consul General's residence in Istanbul on Tuesday, July 26, 2011. 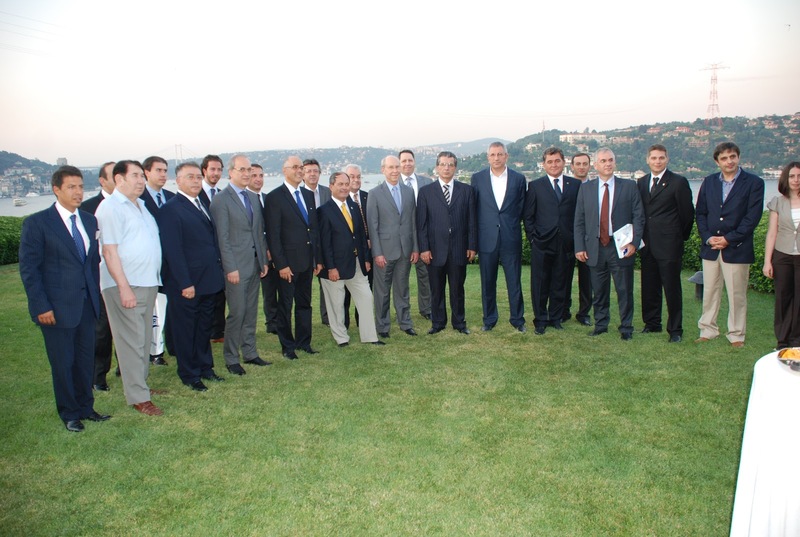 Currently, 165 Turkish-flagged ships participate in the Amver program. 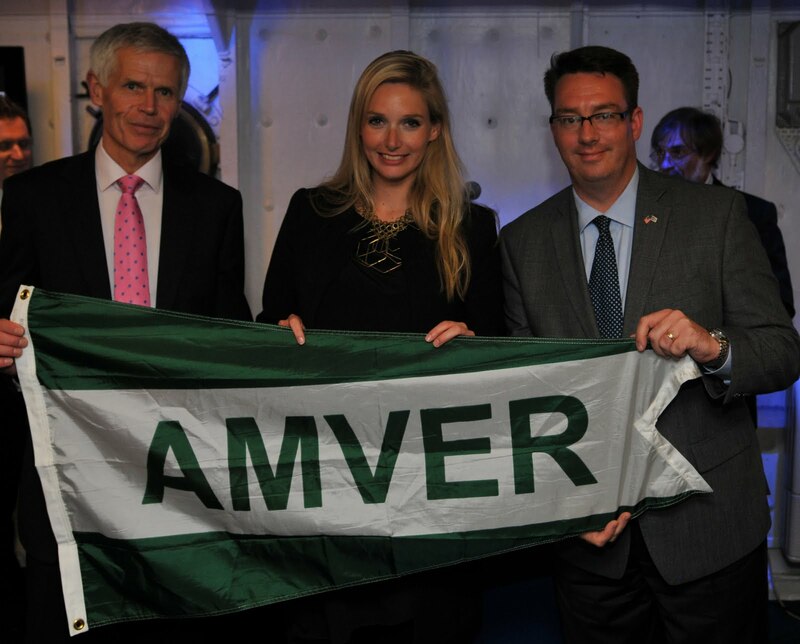 "Amver is about assisting others and saving lives at sea in times of distress. In 2010, Amver-enrolled ships saved 267 lives while assisting many other ships in distress. We are here to applaud th perseverance, commitment and courage of those heroes," said U.S. Consul General Scott Kilner. Congratulations to the Amver award recipients! We saw this and thought our Amver partners would find it interesting. 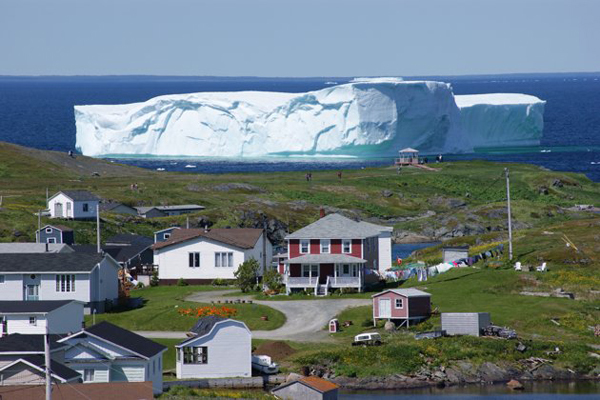 A giant iceberg temporarily blocked the Canadian harbor of Goose Cove. Originally posted on the Black Eiffel blog. The Postal Service salutes the U.S. Merchant Marine by issuing 60 million Forever stamps to set sail through the nation's mail stream starting today. "The new four-stamp pane that we are issuing today features vessels that have formed an important part of our country's maritime history- clipper ships, auxiliary steamships, Liberty ships and container shps," said Jim Cochrane, vice president, Product Information. "As we dedicate these stamps, we pay homage not only to the ships, but also to the valor of the thousands of dedicated members of the U.S. Merchant Marine who served their country and served it honorably." Joining Cochrane in dedicating the stamps at the U.S. Merchant Marine Academy were David T. Matsuda, administrator, U.S. Maritime Administration, Rear Admiral Philip H. Greene, Jr., superintendent, U.S. Merchant Marine Academy; and Captain Eric York Wallischeck, chief of staff, U.S. Merchant Marine Academy. "The men and women who built and sailed the ships depicted in these four postal stamps have buoyed our prosperity, liberty, and way of life," said Matsuda. "Their sacrifice is worthy of remembrance, as they continue to be an integral part of American's economy and national security." Drawing upon contemporary lithographs of the 19th century ships and photographs of the 20th century ships, illustrator Dennis Lyall of Norwalk, Conn., created these four stamp designs under the art direction of Carl T. Herrman of North Las Vega, Nev. Text on the back of the stamp pane describes the types of vessels. Since the founding of the republic, the United States has looked to the maritime industry for much of its growth and security. The U.S. Postal Service honors the U.S. 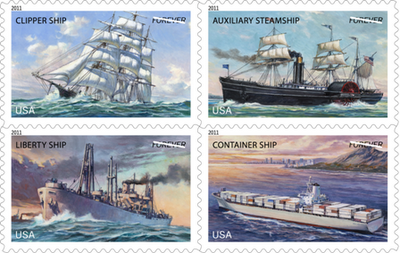 Merchant Marine- the modern name for the maritime fleet- with four stamps featuring vessels that have played an important role in our nation's history. The Clipper Ship stamp is based on an undated Frank Vining Smith lithography of the famous clipper Sovereign of the Seas, which launched in 1852. Clipper Ships, ushered in by the California Gold Rush of 1849 and noted for their streamlined shape and their majestic cloud of square-rigged sails, set numerous speed records for their time. The Auxiliary Steamship stamp is based on contemporary lithographs of ships of the Collins Line, which provided service between New York and Liverpool in the 1850s. Auxiliary steamships- steam-powered ships with back-up sailing rigs- were the ocean liners of their day, competing in the 1850s with clipper and other sailing ships for trans-Atlantic mail and passenger service. The Liberty Ship stamp is based on a photograph of an unidentified Liberty ship in the files of the Westport, Conn., Public Library. During World War II, the United States built more than 2,700 Liberty ships- plain but sturdy cargo vessels that sustained the Allied forces with a steady supply of food and war material. The Container Ship stamp is based on an undated photograph of the R.J. Pfeiffer, a modern container ship launched in 1992 and operated by Matson Navigation Company. Container ships, pioneered in the 1950s, are key to today's global economy, carrying manufactured goods worldwide across the oceans and exemplifying the modern merchant marine. Amver is proud of Matson Navigation and the R.J. Pfeiffer which enrolled in the Amver system in 1992.
Who's who in shipping? We may not be experts in the who's who of shipping. We leave that to the list makers at Lloyd's List or Tradewinds. At Amver we prefer to focus on who has enrolled in our life saving system. Help us welcome the latest members of our safety network. Curious what sorts of things Amver has been doing? Amver ships have been saving lives! Helen of Troy may have a face that launched 1,000 ships but it is Amver and Pole Star that linked 1,000 ships for search and rescue. In 2008, Pole Star, a maritime software company tracking company looking after more than 20,000 ships, developed their systems to allow ship owners and operators to automatically send position reports directly to the Amver system at no cost. Now Subsea 7’s Acergy Petrel, an IMR/Survey vessel, is the 1,000th vessel with the Pole Star monitoring system to link into the Amver system. Subsea 7 is a seabed-to-surface engineering, construction, and services contractor to the offshore energy industry. Amver director Benjamin Strong presented a framed Amver pennant at Pole Star headquarters in London to acknowledge the significant contribution Pole Star has made to Amver. Strong presented the award to Pole Star Chairman Colin Hook. “As any seafarer will know, Amver reporting is usually transmitted by email and requires reporting of sail plans, daily position reports, deviation reports, and final arrival reports which is an additional administrative requirement that within the reams of paperwork they must already deal with,” Hook said. “Amver’s success is tied directly to the number of merchant vessels regularly reporting their position, the more ships on the plot, the greater the chance the ship will be identified near the position of distress. 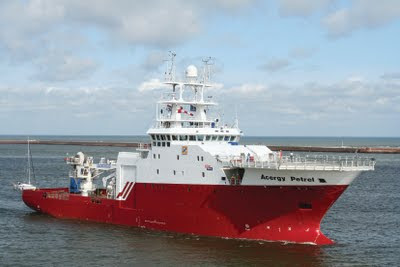 Pole Star is immensely proud of facilitating more than 20 percent of the Amver ships on the plot,” added Hook. You can learn more about automatic reporting on the Amver podcast Quarterdeck. Tradewinds newspaper reports this morning that 30 crewmen aboard the Amver participating bulk carrier Rak Carrier were rescued off the coast of Mumbai, India after the ship started taking on water. "The Indian Coast Guard sent a helicopter and rescue boat to the Rak Carrier and found some seafarers already in the water." 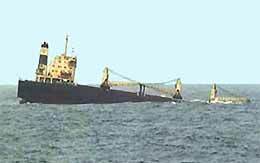 The Rak Carrier was on a voyage to Gujarat carrying Indonesian coal when it sent a mayday message stating it had water in its holds and the bow was sinking. The Panamanian flagged Rak Carrier, operated by Delta Shipping Marine Services of Qatar, enrolled in the Amver system in 2004. More information is available in this Indian Press Bureau press release. It's time to welcome the latest members of the Amver team. This team ensures lives get saved. Thank you for willing to help us save lives. Who are these heroes? What vessels enrolled in Amver in the past week? Take a look. Also, check out the Amver podcast, Quarterdeck! Two sailors were rescued by the Amver participating ship Clipper Glory after their sailboat lost power on a voyage from the Dominican Republic to Antigua July 24, 2011. The captain of the Clipper Glory says his crew noticed two flares and diverted towards the distress location. They came alongside the sailboat and were met by two yachtsmen who requested to be taken off their boat. The skipper of the sailboat suffers from high blood pressure and the other passenger, his daughter, strongly urged her father to abandon the disabled boat. Both survivors were helped aboard the Clipper Glory and stayed on board until the Hong Kong flagged ship reached port in Norfolk, Va. The sailboat was marked as hazard to navigation and left adrift. The Clipper Glory, managed by Maritime Capital Shipping (HK) Ltd, enrolled in the Amver system on March 24, 2011. Two people were rescued from the sailboat Triumph on Wednesday July 27, 2011 approximatley 780 miles northeast of Cape Cod, Mass. after their boat began taking on water. The sailors sent a distress call to U.S. Coast Guard rescue personnel in Boston stating their sails were torn, their engine was disabled, and they were taking on water. Coast Guard rescue authorities immediately queried the Amver system and requested the tanker Kim Jacob divert to rescue the duo. The rescue was complicated by the size of the Liberian flagged tanker and the worsening weather conditions as winds over 30 knots and waves over 8 feet hampered the the operation. One of the Triumph sailors fell into the ocean while attempting to climb aboard the Kim Jacob but the crew kept a sharp lookout and recovered the survivor three hours after he fell into the water. Once onboard the Kim Jacob the survivors received medical attention, food, and talked to Coast Guard personnel. The survivors were equipped with an Emergency Position Indicating Radio Beacon (EPIRB) and life jackets. Their preparation, coupled with the skill and seamanship of the Kim Jacob crew, resulted in their rescue. The survivors stayed aboard the Kim Jacob until it reaches its next port in Port Tupper, Nova Scotia. Their boat was marked as a hazard to navigation and left adrift. The Kim Jacob is managed by Ernst Jacob GmbH and Company of Hamburg, Germany and enrolled in the Amver system on May 11, 1998. The Kim Jacob has earned 13 awards for for Amver participation.